Chinese New Year is almost here, and there’s no better way to celebrate than by drinking beer, juice and other favourite beverages with your friends and family! 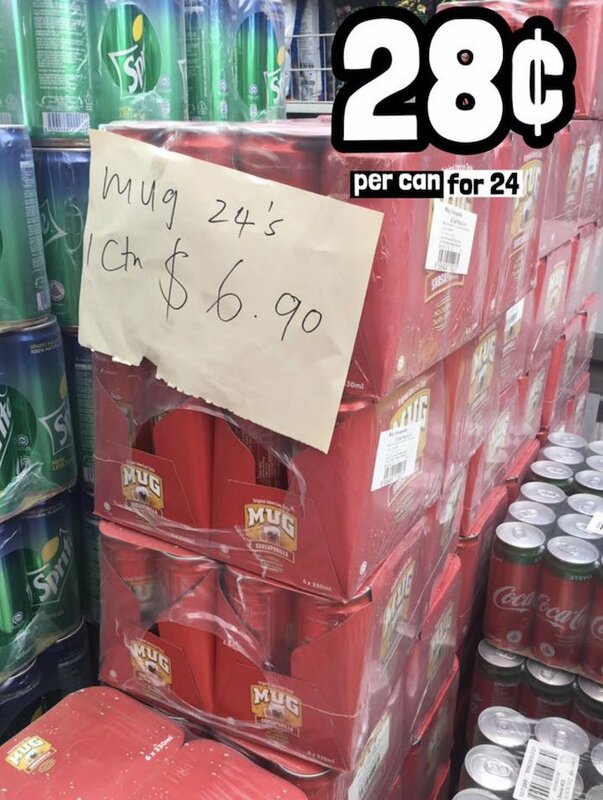 Lucky for us, Li Li Cheng Supermarket is selling a carton of Mug’s Root Beer, Juscool Passion Fruit, Yeo’s tea, Asina China Apple, Tian Di Apple Vinegar & more for as low as $3 per carton. 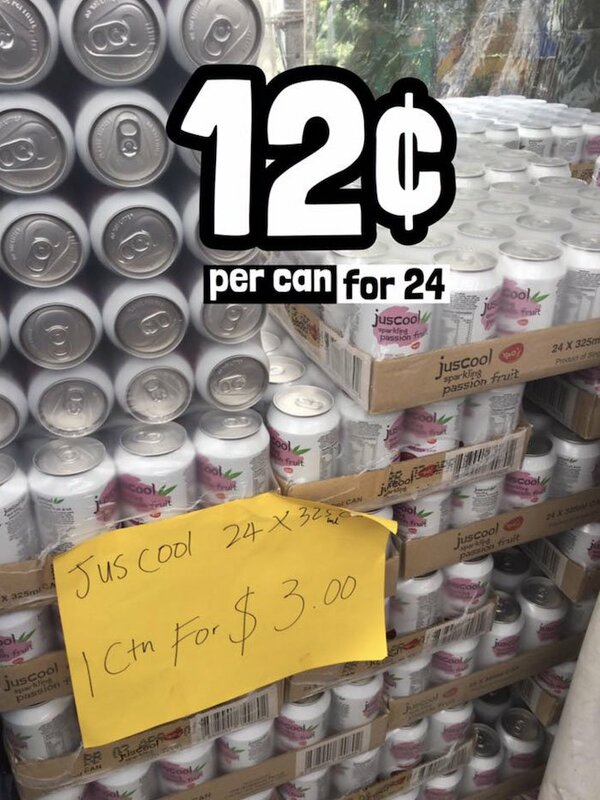 One carton is equal to 24 individual cans. 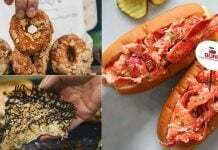 While we don’t have the specifics, a quick look at the best deals is enough to make us grab our wallets. The store has many popular beverages that’s more than enough for your long weekend celebration! 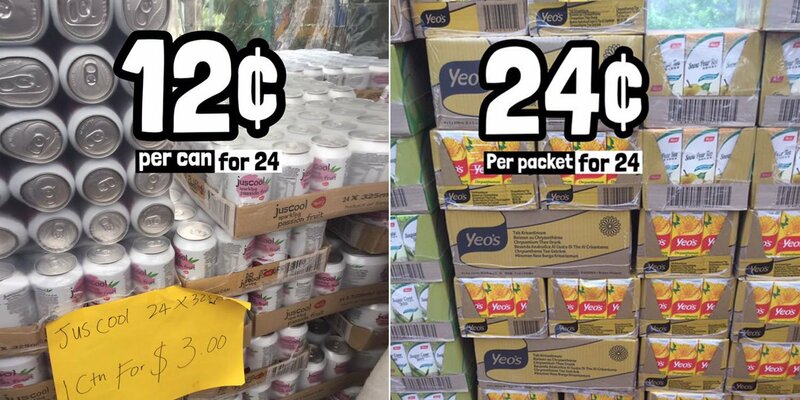 Those who want to stay healthy can opt for Juscool Passion Fruit at $3 per carton! It boasts of real fruit juice and low sugar content, so you can enjoy the fizziness of a sparkling drink minus the risk of diabetes and the tons of calories per sip. Tea lovers rejoice! 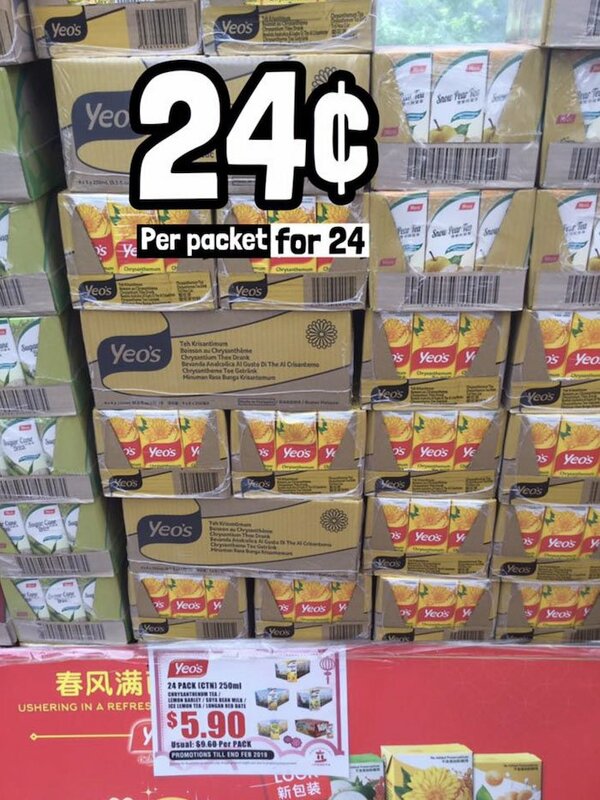 They’re selling a carton of Yeo’s famous teas at $5.90 for 24 pieces. Flavors include Chrysanthemum, Lemon Barley, Ice Lemon, Soya Bean Milk and Longan Red Date. Mug’s Root Beer is famous for its candy-like and syrupy taste. 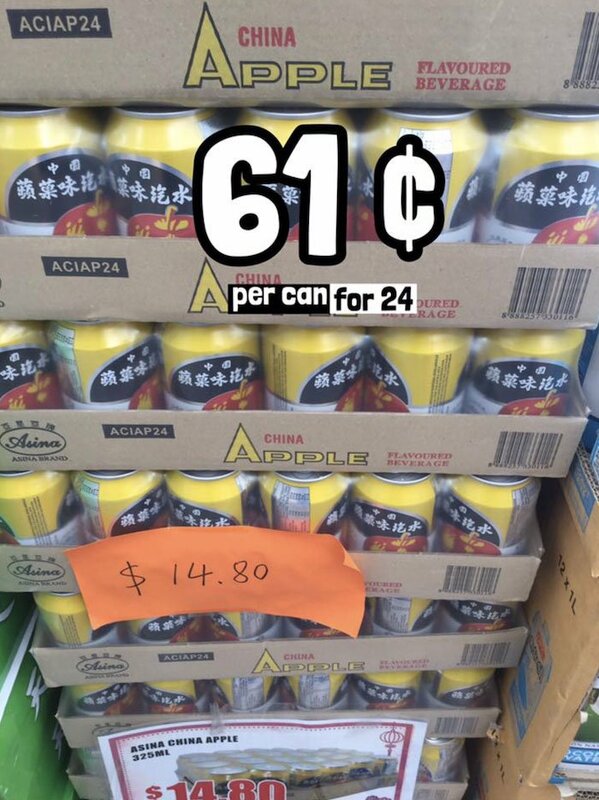 It’s a delicious drink for parties and you can get them now at $6.90 for a carton. Want Want milk – aka Hot Kid milk – is a must-have for those born post-1990s. 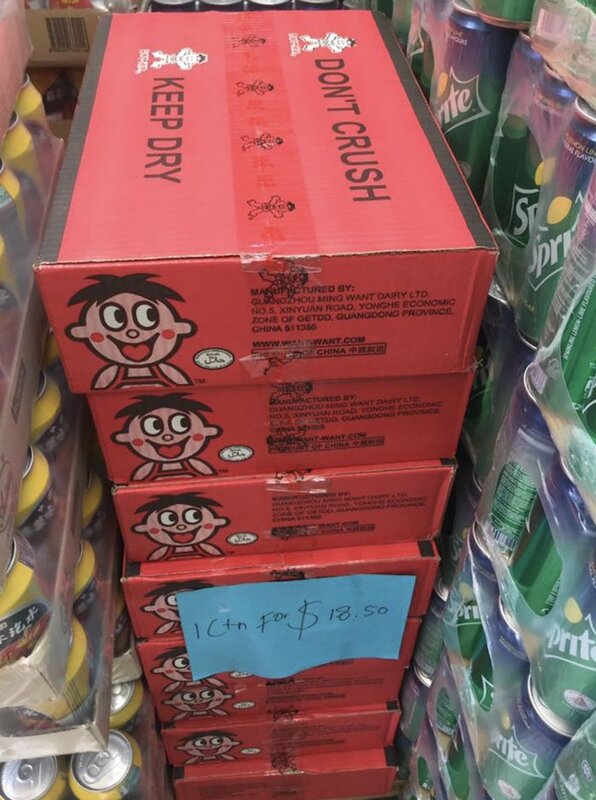 The condensed milk-esque beverage is well-loved by those with a sweet tooth – and you’ll be pleased to know that 1 carton is only $18.50! 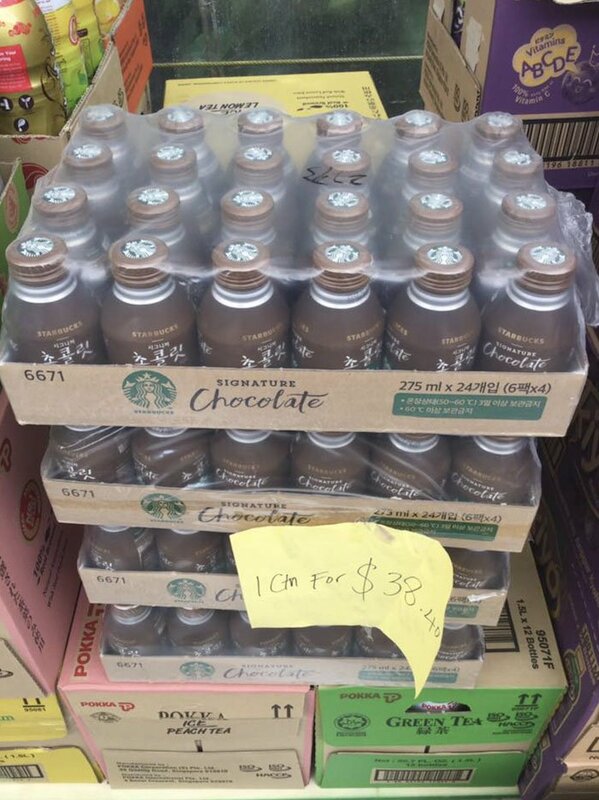 Starbucks lovers will be happy to find that they can buy a carton of Starbucks’ Signature Chocolate for $38.40. We certainly want more of this creamy and chocolatey beverage, even if it has no caffeine. 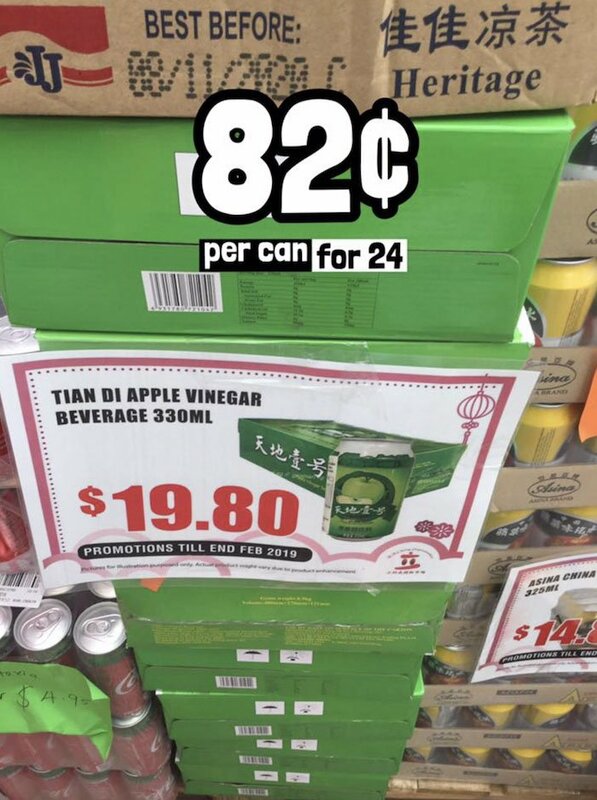 Asina’s China Apple beverage is famous for its refreshing apple flavour and it’s only $14.80 per carton. Tian Di Apple Vinegar is naturally made from matured vinegar. The brand claims that apple vinegar can reduce tiredness and eliminate fatigue, prevent aging, kill bacteria or virus among many other health benefits! It’s highly recommended for those spending many late nights studying and working – and it’s only $19.80 per carton! 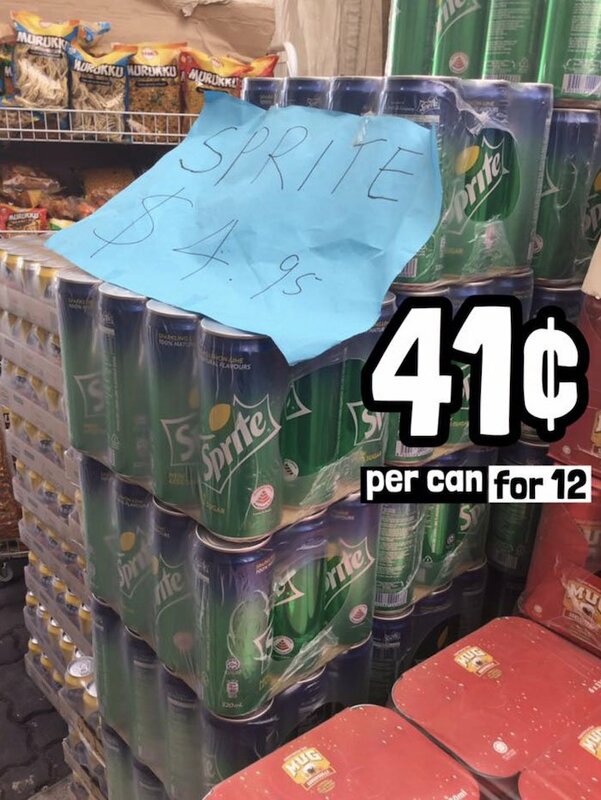 If you prefer to celebrate with a classic Sprite, then grab ‘em now at $4.95 for a can of 12. 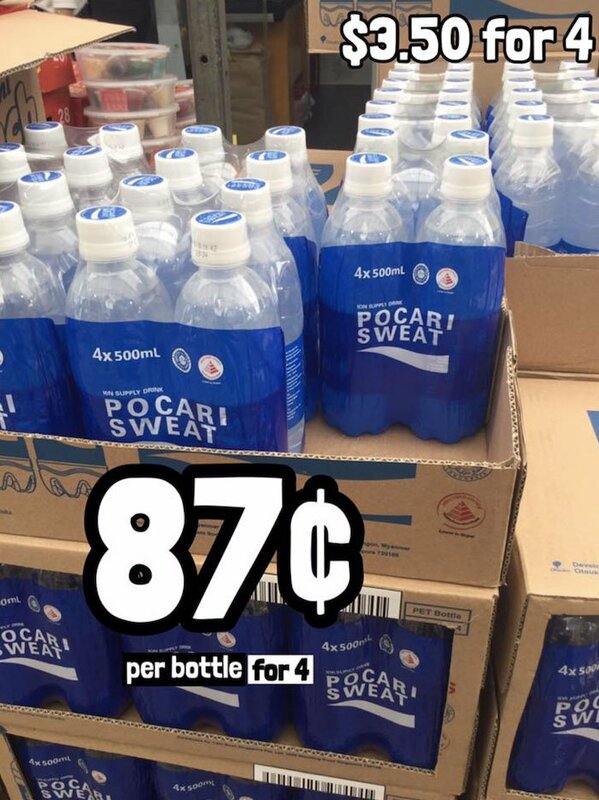 Gym buffs and sports enthusiasts take note of their big discounts on Pocari Sweat – now only $3.50 for 4 bottles! 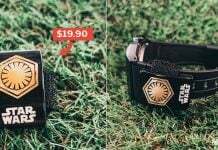 Ready to buy ‘em now? 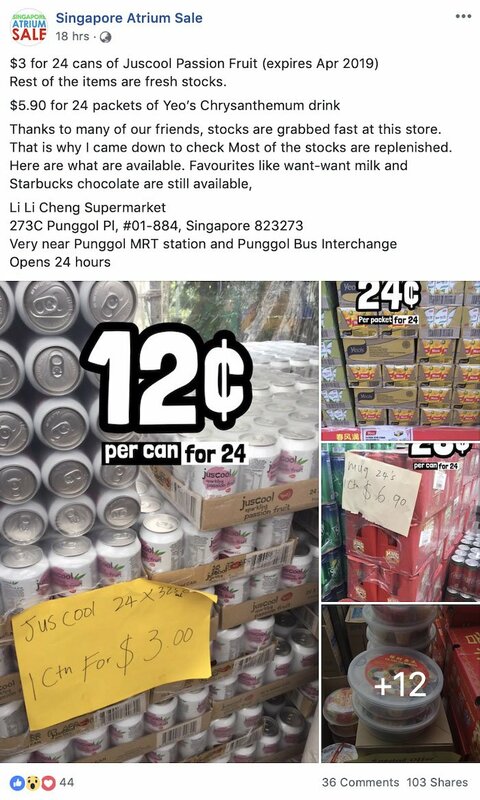 How do you get to Li Li Cheng Supermarket? 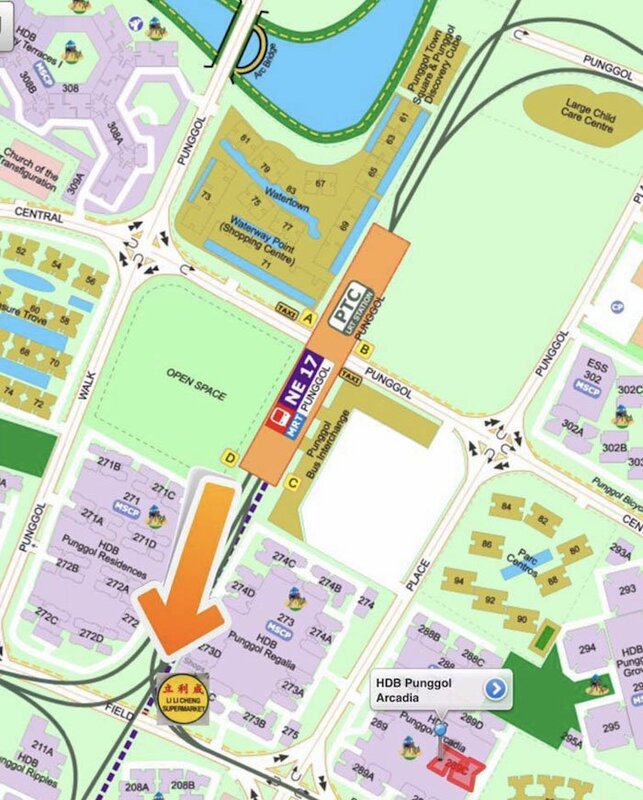 Simply depart at Punggol Station and walk to the store at 273C Punggol. Since everyone’s busy buying lots of festive foods for the long weekend, be sure to prepare for long queues. These deals are only available till stocks last so you better go ASAP. 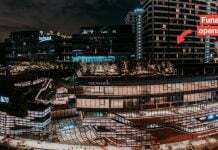 Featured image from Singapore Atrium Sale on Facebook.